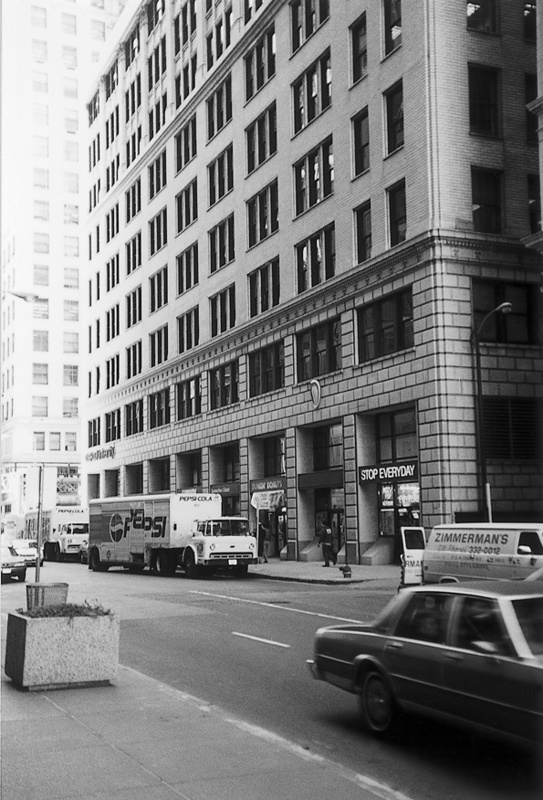 In 1969, the Chicago office of Tatham-Laird & Kudner was located on the top floor of the Lyon & Healy Building at 55 East Jackson. In my years in the advertising business, it wasn’t unusual to grab a friendly drink or two at a bar to discuss an idea or project with fellow creative people, to smooth a ruffled feather or two, or to get to know your competition in other agencies. But sometimes there was a little more to the story than that drink revealed. When I first joined Tatham-Laird & Kudner in 1969, I wrote copy for the Continental Bank of Chicago. During my time on the account, I created a TV campaign using the veteran news anchor and commentator Alex Dreier as the on-camera spokesperson. 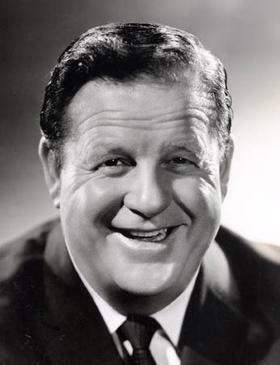 Dreier was a recognizable, respected personality in Chicago known for his unique, staccato, baritone delivery. While filming the first commercial, Dreier and the cinematographer Lutz Hopke started conversing in German. Dreier would be on stage, Lutz behind the camera, as both jabbered away and cracked jokes in German. In a conversation I had with Dreier between scenes, he divulged that he grew up speaking German. His fluency in the language got him a job as a U.S. foreign correspondent stationed in Berlin during the early ‘40s. He was expelled from Berlin along with other foreign journalists just one day before the Pearl Harbor attack. Dreier went on to explain that Lutz was originally from Germany and that they met and knew each other from previous television work in Chicago. Alex Dreier as he looked in the ‘70s. It was during another break that Dreier related a story about the time Lutz was filming a commercial in a small Midwest town that enforced the Blue Laws – no liquor on Sundays. According to Dreier, Lutz had a fear of flying and since the production started on a Monday, Lutz took an afternoon train from Chicago to arrive early Sunday evening. After checking into his room, he went to the hotel bar only to discover he couldn’t get a drink on Sunday. Lutz walked outside and flagged the same cab he took from the train station, probably the only cab in town. Experience told him a cabbie was the one person who would know where to find a drink, which happened to be the VFW Post about ten miles out of town. So off they went. At the VFW Post, Lutz was informed he had to be a member. Lutz said he was a veteran and he’d be happy to join. It was obvious that Lutz was only passing through town and just wanted a drink, so the post commander had Lutz fill out an application in the event the local authorities happened by. When he finished the application, Lutz made a small donation to the post kitty and enjoyed several drinks and a number of hours talking with post members before returning to the hotel. Dreier ended the story by telling me with a chuckle that when Lutz left to go back to the hotel, he took the application with him. And although he spent several hours conversing in a noticeable German accent, no one ever questioned for which country Lutz had fought – that’s NCO Lutz Hopke, of the 12th Panzer Division. About three years later while working at Leo Burnett Advertising, my wife, children and I along with her siblings and their families took a cruise up the St. Lawrence, stopping at various Canadian islands and cities, and then out to Bermuda for a couple days before returning to New York. The event was the fiftieth wedding anniversary of my in-laws. One afternoon while cruising the St. Lawrence, we were all invited for cocktails in the Captain’s cabin to toast the couple. After various toasts, the Captain announced he would also like to toast the occasion of his second trip to Canada, but the first time as a free man. SS Hamburg of the German-Atlantic Lines. He explained to the puzzled group that he was a U-Boat Captain during World War II and, after his submarine was damaged, he and his crew were captured and spent the remainder of the war in a Canadian POW camp. I mentioned this story only because when we went to stake out some chairs on the aft sundeck the first day aboard, I found the name Alex Dreier taped to the back of two of the chairs. It seems the ship, the SS Hamburg, had just returned from a two-month cruise to South America and Dreier and his wife were passengers.